Those who have spent any time on holiday or garden visiting with me will know that I find an old churchyard hard to resist. I find them fascinating places: the hub of the history of the community that surrounds it and also often a treasure trove for wild flowers and wildlife. For a place where many of us bury our dead, they team with life. 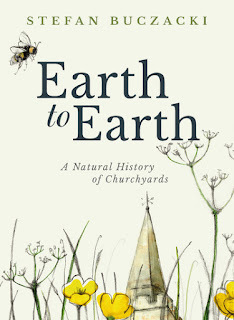 When I saw that Stefan Buczacki had written this book that is subtitled 'A natural history of churchyards' I knew it was a book right up my ally. This is a beautiful little book, it is superbly illustrated throughout by Felicity Price-Smith. Stefan begins by giving us a brief history of burial grounds and churchyards. Whilst Stefan concentrates on Christian churchyards, he does explain that some of the oldest burial grounds in the UK are Jewish and Muslim due to their strict constraints on disturbance of human remains. Almost immediately there are things in this book that I did not know and, admittedly, I have not stopped to think about about, such as gravestones were not common until the seventeenth century. It was no surprise that only the wealthy could afford them at this time. Once you pick this book and start reading it I challenge you to put it back down quickly. 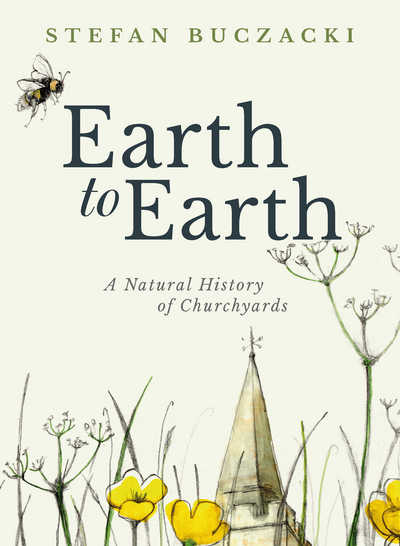 Stefan leads us through a journey from the churchyard history, to their place in the landscape, to the yew, lichens and mammals and birds. What I loved about this book is that it filled in so many gaps in my knowledge and also made me think alot about the various local legends and stories I knew about graveyards, it acted as a catalyst to remember so many things I had been told as a child and beyond. The book ends with a cautionary postscript about the closing of churches and how the churchyards are falling into disuse. 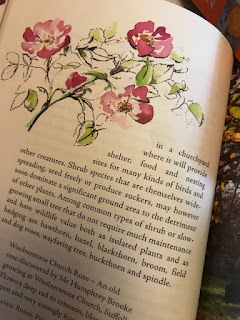 The silver lining that Stefan reminds us of is that these churchyards do not have to be completely abandoned and that already 6000 churchyards in England are managed for their wildlife interest. Stefan talks of the volunteers and churchyard groups who look after many of these churchyards, hopefully maintaining a balance between keeping respect for those buried there and encouraging wildlife and wildflowers. The book is a delightful mix of interesting facts and poems all skillfully woven together. I did not really know what to expect from this book but it is a delight. It is the sort of book I will pick up and dip into time and again. Disclaimer: I requested a review copy of this book, so whilst I have not paid for it but my words and opinions are my own. I will order this from the library. I became a friend of Lister lane cemetery in Halifax quite a few years ago. This town centre graveyard had been opened in the 1830s. At the time I was interested in family history but the group also managed the area for wildlife and flowers. It was really beautiful. I once visited a country graveyard in Oxfordshire to research family buried there. It was so quiet. I disturbed a very large grass snake in the long damp grass. Gave me quite a fright! It does sound right up my alley.